LHC returned to action in their first fixture of 2017 against league favourites St. Andrew’s Netherton. The weather held off, yet that couldn’t prevent the pitch from cutting up as soon as the players took to it. What ensued was a fast-paced, end-to-end game. LHC set up in a new formation; however, as the defence were growing accustomed to their line-up, the visitors found the net twice in quick succession. 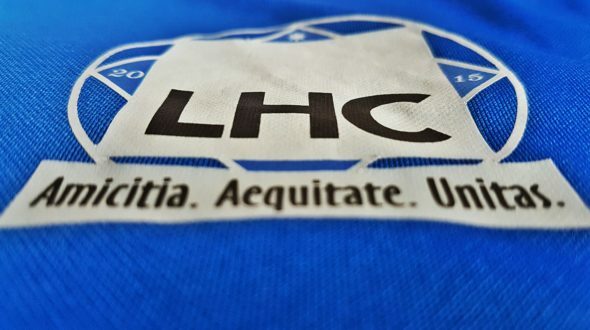 LHC did threaten. A lofted corner drifted over all in the box to find defender Jordy Mitchell, who struck a half-volley attempt wide. The half played out in much the same fashion, before the referee drew it to a halt. The second-half opened with both teams still going for it. A fine ball over the opposing backline by midfielder Lee Ralph was met by Callum Oakshott, who couldn’t quite get the power he needed, allowing the keeper to palm the effort wide. The visitors then added to their tally. LHC forward Lewis Beardmore soon reduced the sideline to ‘ahh’s as he fired a bullet of a shot that left the crossbar rattling long after the ball had disappeared down the neighbouring bank. Despite conceding, the LHC defence appeared to shore things up, allowing fewer balls through and throwing their bodies on the line to keep St. Andrew’s out. LHC continued to push for a goal, creating chances and having a number of corners, but it was not to be their day. Nevertheless, it was great to have the season back following a four week break over the festive period.